The Alsace-Lorraine region is currently in France, but has been under German rule during several periods of history. When Jacob was born, most of Alsace was part of France (since 1648), until 1871 when Germany annexed the region. The year Chloe was born, 1766, Lorraine became part of France. Jacob emigrated with his father, Moritz Klein, arriving in Philadephia on Sep 15, 1749 on the ship Phoenix from Rotterdam. Jacob's brother Johann Sebastian Klein emigrated to Philadelphia, arriving Sep 3, 1739 on the Robert & Alice from Rotterdam via Plymouth. Jacob and wife Catherine had six children who survived childhood. Jacob's brother Michael lived about a mile from Cold Water Lutheran Church in Mecklenburg Co. He is buried in the church cemetery on Gold Hill Road near Concord NC. On November 9, 1764, Jacob is the recipient of a 130-acre grant on Lick Branch of Buffalo Creek. Two years later Jacob and his wife Catherine sell this land to Jacob Tagget on August 20, 1766. This land is "about one mile above" Paul Barringer's land. There are many other land transactions including a Jan 2, 1796 sale by a Jacob Cline and Catherine to son-in-law George Klontz , part of the 214-acre tract on Buffalo Creek next to Henry Long that Jacob acquired on Aug 4, 1787 from George Tucker. The sale may have been executed by Jacob Jr. since both of his parents had died by then. Jacob's wife Catherine was buried on Dec 29 1793. 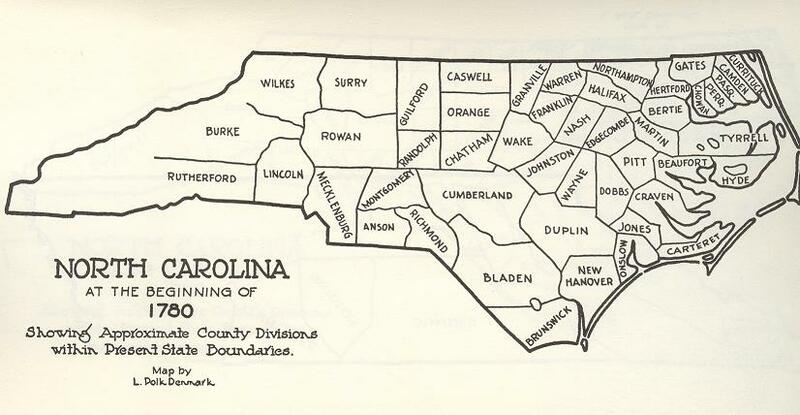 Map of North Carolina Counties in 1780. 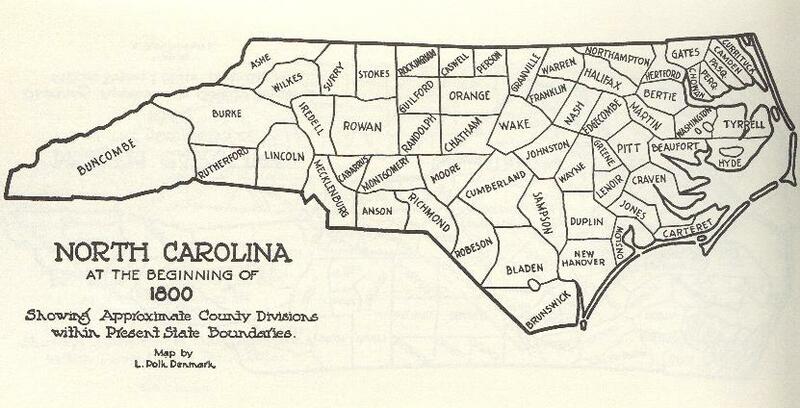 Cabarrus County was created from Mecklenburg in 1792. ( Map). "Genealogy of Marcus Lafayette Cline Family"; typescript; Catawba Co. Library, Newton NC, p.5. Green, James W. III, Moritz Cline genealogical list, Internet, Jul 8, 1998. Hartshorn, D.S., Sebastian [Klein] Cline, genealogical list, Internet, May 30, 2007. Shuford, David W., Origins of the Shuford Family in America...., Baltimore MD, Gateway Press, 1998. pp. 48, 51 & 56.